– green/eco real estate for sale, for rent, to share. – thematic gateways to information, participation and opportunity. Search – search our sites and beyond. Environmental Events Calendar 2019 How to promote an environmental event, course or conference? Canada's green event calendar is now inviting 2019 event listings! The Green Event Calendar lists hundreds of environmental events — it's Canada's largest and longest running environmental calendar. Post an Event. For best results, post early – your event will stay on the calendar until the date(s) of the event. 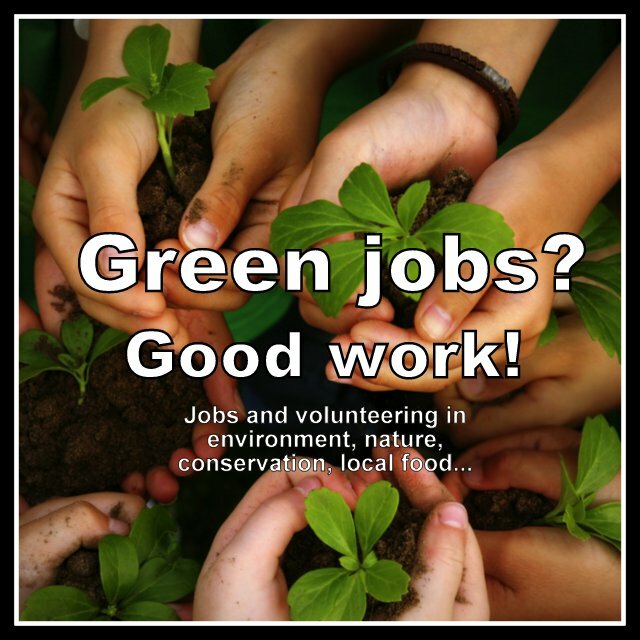 Local Food Jobs Introducing FoodWork.ca, dedicated to local food, food security, sustainable agriculture! Seeking food jobs, internships or volunteer positions? Ten years in the making, FoodWork is “a unique hub for work in local, sustainable and secure food”. Use FoodWork to help find local food staff, interns, consultants, board members and more: www.FoodWork.ca. Climate Change Gateway Climate change is already happening – and with it more extreme weather events such as floods, droughts, ice storms and hurricanes. A recent UN report warns of 50 million environmental refugees by the end of the decade. The Climate Change Gateway is a summary of major climate change links, resources, organizations, and opportunities for involvement. Sustainable Living Links – choices and activities that can help sustain your health, your spirit, and the planet... positive, constructive things you can do in your home, work, and play. From bicycling to community gardening... from non-toxic home & garden products to strawbale homes... from co-ops to ecovillages... there's an amazing variety to explore and experience. 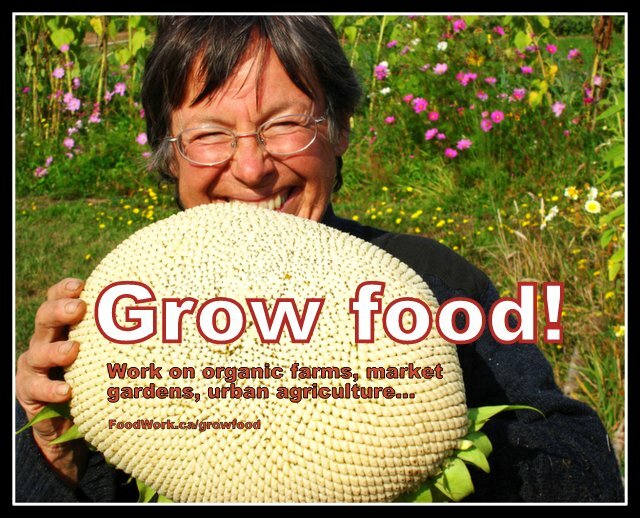 Local and Organic – A gateway and guide for everyone who eats, gardens, or wants to make a healthy living from food. Also includes permaculture; biodynamics; sustainable living; sustainable agriculture; Wwoofing; learning centres and ecovillages; books & magazines; organizations and websites; lists of farms and gardens; more. Eco-Centres & Places – Places where people of all ages can go to learn, experience and participate in healthy, sustainable living. Includes environmental learning centres, organic gardens, nature retreats, wilderness trips, ecotourism, homesteads, ecovillages, intentional community, permaculture, alternative schools and more. Offering guided tours & demos, workshops, courses, outdoor activities, school programs, volunteer opportunities, Wwoofing, apprenticeships, site rentals, more. The Greening of Business – Can business be healthy and sustainable? This provocative collection of resources tells both sides of the story – the good and the bad, the green and the grey. It can help you understand the problems, and then become an active participant – whether as a consumer, citizen, lawmaker or business person, in the solutions. More Gateways & Guides – More than just information, the People & Planet Directory is designed to connect and empower people with the resources, people and opportunities they need to live more healthy, sustainable, community-based lives. It contains an inspiring diversity of information on sustainable living, peace, environment and social issues. There is no paid advertising; all listings have been placed based on relevance and merit. Canada's gateway to environment, sustainability and conservation. Founded & coordinated by Peter Blanchard. Graphic design assistance by KeyLime. "Darkness cannot drive out darkness; only light can do that." – Dr. Martin Luther King, Jr.